Equity hedge funds performed well in August, leading all stock-picking strategies with 1.1% gains, which pushed their yearly gains to 3.5% according to data compiled by Hedge Fund Research. Among the multi-strategy funds to post solid returns during the month were the Kensington and Wellington funds of Ken Griffin’s Citadel Investment, which gained 1.7% to push yearly returns to 11.2%, and the flagship fund of Israel Englander’s Millennium Management, which posted 1.4% gains in August. Nonetheless, hedge funds as a whole are trailing the market in 2018, which is compounded by their high fees. On the other hand, Insider Monkey’s flagship “Best Performing Hedge Funds Strategy” has returned over 50% in the last year, destroying the market by 29 percentage points. Since its May 2014 inception, the easy-to-follow strategy has returned 121%, beating the bull market by more than 54 percentage points. The hedge fund strategy’s small number of quarterly picks often span a range of industries. In our May 16 newsletter, customer service platform Zendesk Inc (NYSE:ZEN) and pharmaceutical company FibroGen Inc (NASDAQ:FGEN), each of which gained over 10% during the following 2.5 months, were among the seven stock picks for the quarter. Check out a detailed analysis of Insider Monkey’s past performance and quarterly stock picks for all the details. In this article we’ll take a look at hedge funds’ favorite stocks in the apparel industry, which was recently energized by Nike Inc. (NYSE:NKE)‘s controversial decision to use divisive former NFL player Colin Kaepernick in a new series of ads. 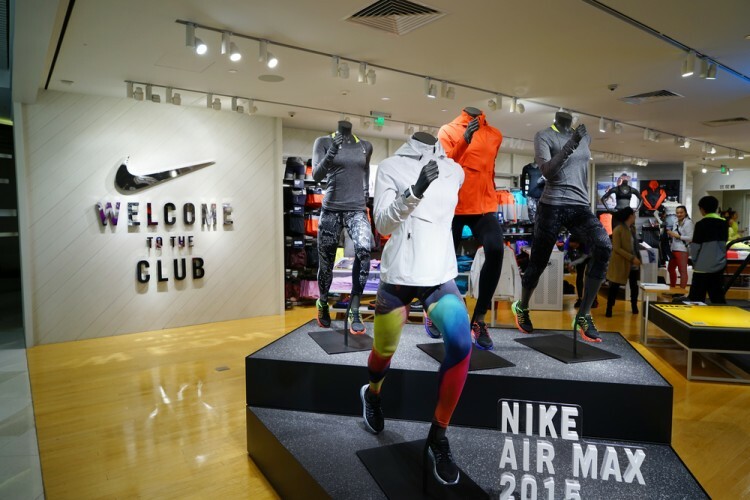 Nike Inc. (NYSE:NKE) is not the most popular apparel stock among the hedge funds tracked by Insider Monkey, nor is Nike rival Under Armour Inc (NYSE:UA), which failed to crack the top 5 entirely. Read on to find out which stock toppled Nike in popularity among leading investment managers. Urban Outfitters, Inc. (NASDAQ:URBN) kicks off our list of the most popular apparel stocks among hedge funds and may be the perfect tonic for the hordes of Republicans who were so disgusted by Nike’s Kaepernick decision that they cut up or burned their Nike products. That’s because Urban Outfitters, Inc. (NASDAQ:URBN) made our 2017 list of the 10 Most Conservative Companies in America thanks to its racially insensitive past that has included mocking Mexico in T-shirt form and its selling of a game called Ghettopoly, which was filled with black inner city stereotypes (Urban Outfitters did eventually pull the game, which it did not create, from its shelves). Urban Outfitters, Inc. (NASDAQ:URBN) was owned by 27 of the hedge funds in our system as of June 30, down from 31 at the end of March. Citadel Investment and Millennium Management were among the top five shareholders of the stock in our database, owning 1.32 million and 926,848 shares respectively. Urban Outfitters shares have gained over 22% in 2018. American Eagle Outfitters (NYSE:AEO) lands in 4th, with 31 of the hedge funds tracked by Insider Monkey owning the stock at the mid-point of 2018. Among the funds opening new AEO positions in Q2 were Jim Simons’ Renaissance Technologies (1.08 million shares), Louis Bacon’s Moore Global Investments (725,000 shares), and Alexander Mitchell’s Scopus Asset Management (700,000 shares). American Eagle Outfitters (NYSE:AEO) is in the midst of a very strong year, with gains of over 31% despite a recent pullback. Investors appear to have balked at the company’s increased second-quarter spending and somewhat light third-quarter earnings guidance despite strong overall results, which lead to the pullback. Analysts have recommended buying AEO shares on the weakness, arguing that the spending blitz will lead to improved long-term results and that both the American Eagle and Aerie brands are showing strength. On the next page we’ll look at the top 3 apparel stocks among hedge funds, including the upstart that held Nike back from the top spot.